This is untrue. The moisture level of your dogs nose is unrelated to its state of health. 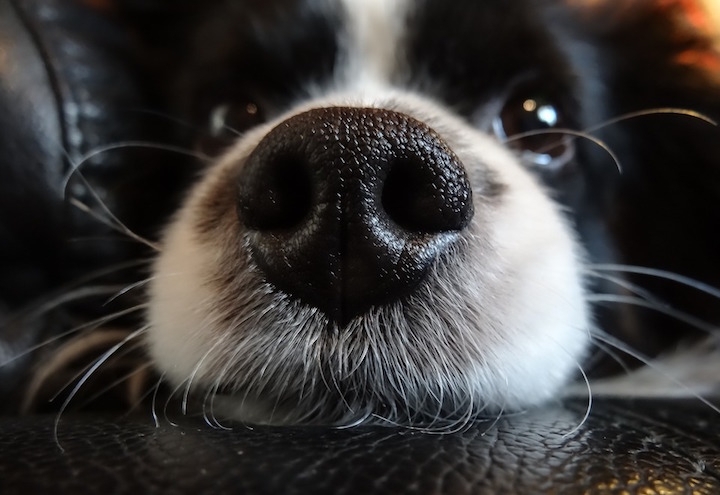 A dogs nose can change from wet and cool to warm and dry in minutes. It is completely normal, and has far more to do with the weather and humidity than with their health. Again, this is untrue. Dogs can learn new tricks at any age. In fact, learning new things will help to keep your dog active, and his mind sharp. Dogs can detect the same bitter, sweet, salty and sour tastes as humans, but the way they perceive it may be different. Dogs only have around one sixth of the number of taste buds as humans, and it is probably that they gain more information about food from the way it smells. Regardless of their attraction to pungent foods, feeding your dog that leftover takeout is a bad idea. Many people justify waiting to get their pet spayed because they believe that their dog needs to have one litter of puppies ‘for the experience. They don’t. Allowing your dog to have a litter of puppies will only result in you struggling to find homes for them. Your dog will not miss an experience she never knew she could have. Typically, the wagging of your dogs tail does suggest excitement and happiness, but not always. Sometimes a wagging tail can indicate fear, aggression or even be a warning.